THE ART RIDE This formidable looking creature wearing cowboy boots was on display at the Des Moines Art Festival, June 22-24, 2018. It introduced a new media for public art awareness. 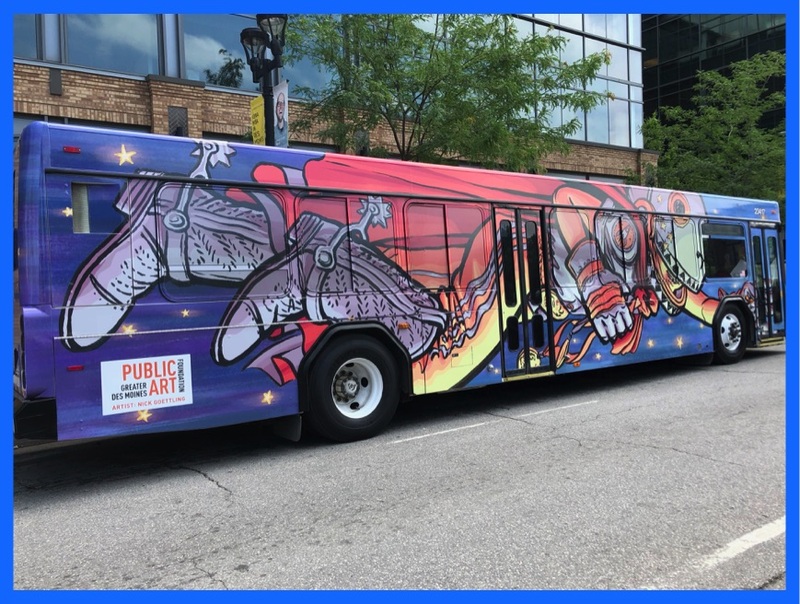 You may see more art work on DART buses during the coming months. Parking downtown is getting to be a pain for me so I sometime take DART. 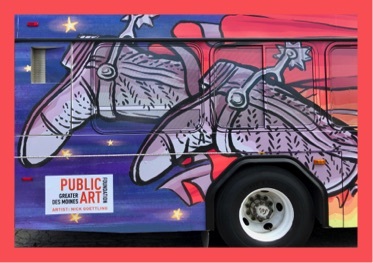 Next time I hope this very bus picks me up--that's why I call this THE ART RIDE.